So back to the cold weather, it reeks absolute havoc on my skin. I get these horrible dry patches on my cheeks and around my nose and basically it's not one lil bit attractive and all kinds of grim. 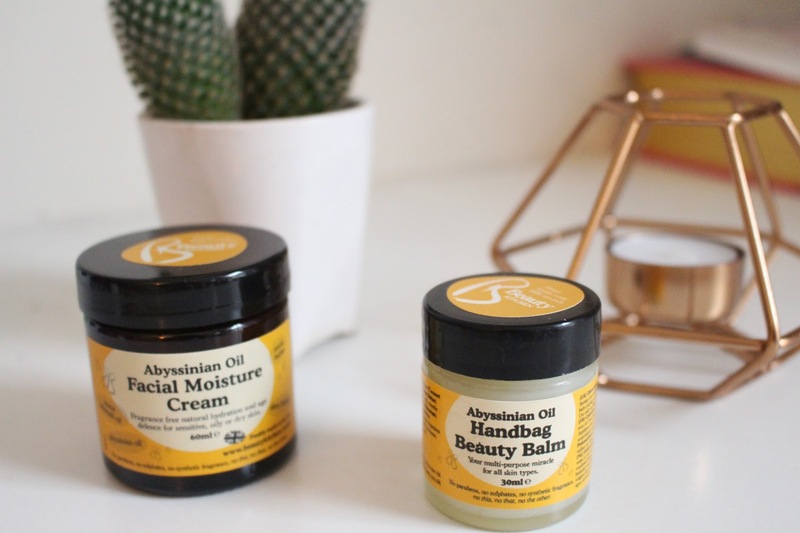 Luckily for me, the absolute babes at The Beauty Kitchen had sent me out the Abyssinian Hand Bag Beauty Balm and the Abyssinian Facial Moisture cream to try out, it literally couldn't come at a better time. My absolute favorite out of the pair was the handbag balm. 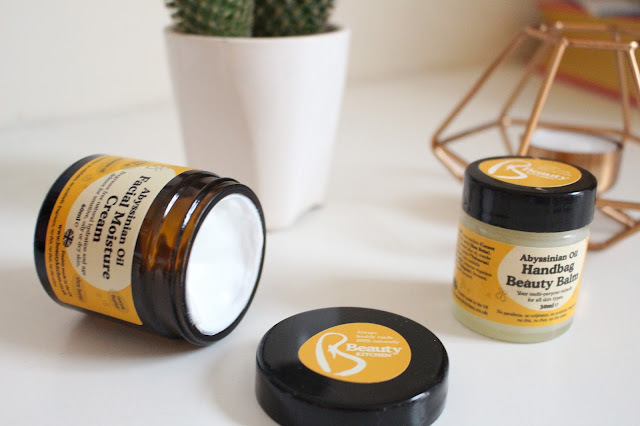 It quickly cleared up the dry patches and as it's a balm it kept my skin from drying out further that day, acting as an almost barrier from the horrid cold. AND I found I could double it up as a primer, You only need the smallest amount to get full coverage. 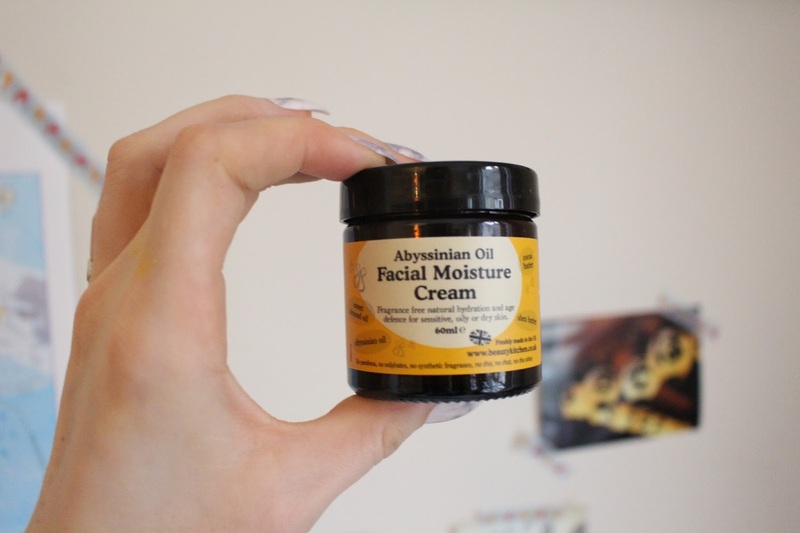 Next up is the facial moisture cream. I used this as part as my nightly skin care routine. Now the cream is not too heavy which usually leaves me wanting to skip moisturiser out altogether. 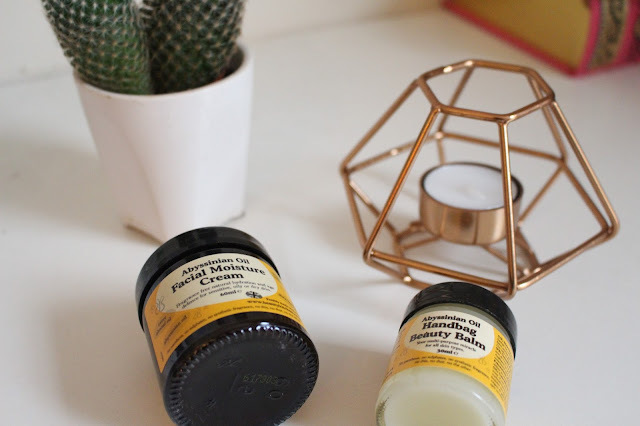 This left my skin feeling super soft and as mentioned before helped to combat the dreaded dry patches winter brings to my skin. Both smell like a dream, no nasty chemical smells all 100% natural and never ever tested on animals. I would totally recommend both products if like me you suffer from dried out skin in the harsh winter months. The dermis Savers beauty procedure presents tremendous facial assessments that make sure every consumer receives personalised healing for the nice possible results utilising the present day science. Our cosmetic clinicians are experienced registered nurses, wholly proficient and authorised in cosmetic remedy.